A bold new paperback edition of the entire Eisner Award-winning tale of Hollywood in the early days of the Blacklist! 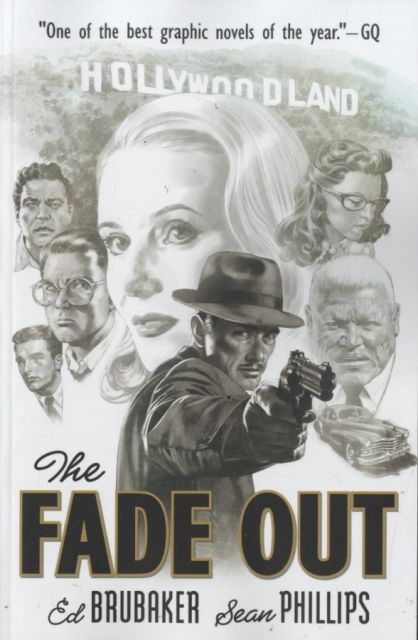 THE FADE OUT tracks the murder of an up-and-coming starlet from studio backlots to the gutters of downtown Los Angeles, as shell-shocked front man Charlie Parish is caught between his own dying sense of morality and his best friend's righteous sense of justice. A picture-perfect recreation of a lost era, THE FADE OUT is an instant classic from the bestselling team of ED BRUBAKER and SEAN PHILLIPS, with acclaimed color artist ELIZABETH BREITWEISER. Diesen Artikel haben wir am 15.11.2018 in unseren Katalog aufgenommen.